Isn’t that just, simply – awesome!?! I’m just going to let you read that again, and let it sink in….. Done? Okay – because I can’t stop thinking about it. I mean – it seems that these days, many of us feel the pressure to ‘be everything to everyone’, because supposedly all of this technology has made our lives ‘better’. (really? I think it’s given me a lot more to do, not less! with the same number of hours in a day). We push ourselves to be the best at everything – which can be a good thing, because if you’re going to do something, try to do it to the best of your abilities. That’s the key; ‘to the best of your abilities’. Try your hardest, do your best – but be kind to yourself if it’s not up to your own standard of ‘perfect’. Perfect is boring! Perfect has no flaws, has no character, no kinks, no interest, no individuality. We need to give ourselves some slack; to say it’s okay to not be perfect -to accept that the way we are is perfect – flaws and all! 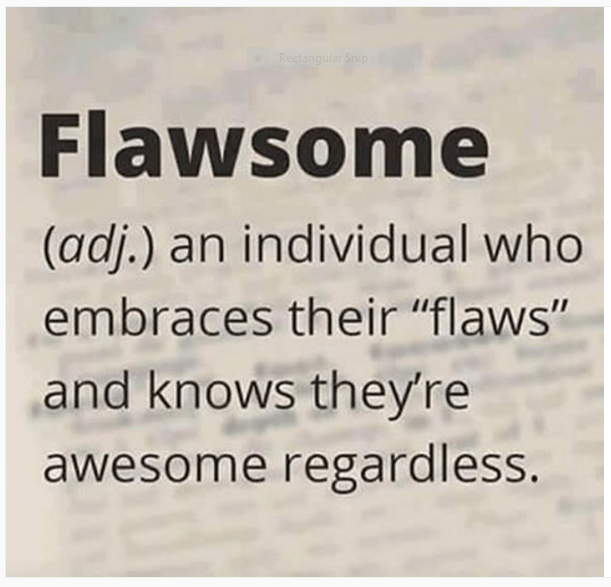 Flawsome! 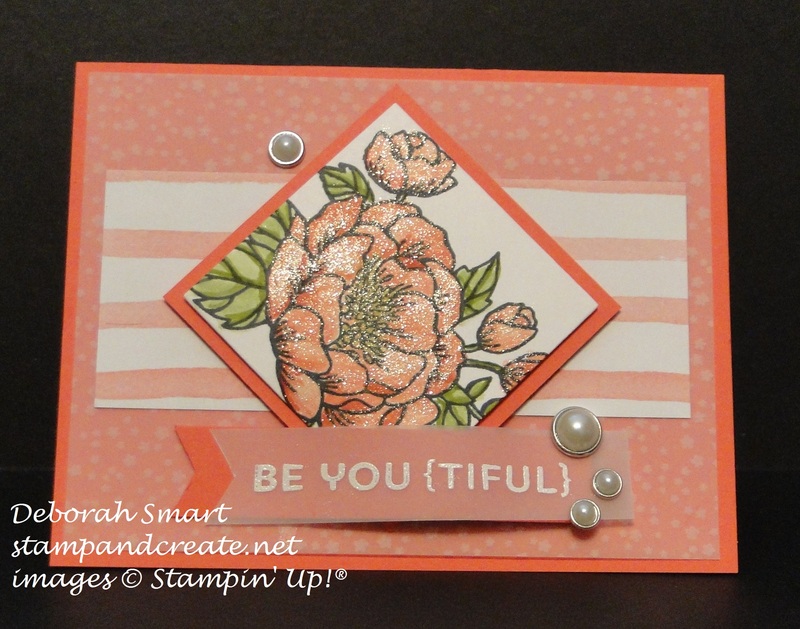 I hope that you will go forth, BE YOU(TIFUL), and BE FLAWSOME! Previous Previous post: Bonus Days Are Here! Right on! Well said, Deborah. We should all remember this. ? Thank you, Deborah, for this massage today!